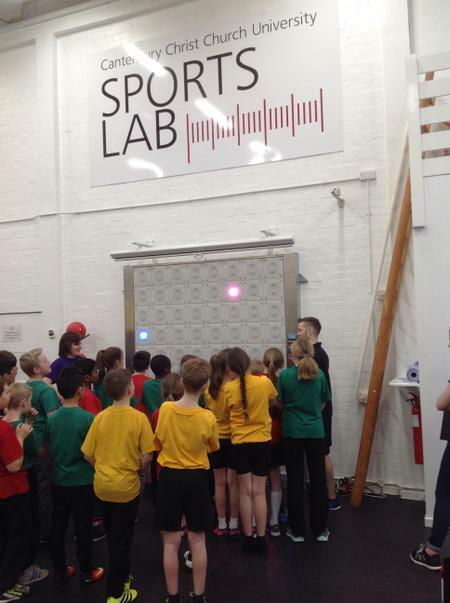 On Wednesday 8th February, a group of year five and six pupils were invited to a Sports Science event at Canterbury Christchurch University. This was part of the pupils Science Week at school and was a fantastic opportunity to learn about the role of science in sport. The children participated in a series of fitness tests which measured different components of fitness including strength, flexibility and accuracy. The children were also given a tour of the Sports Laboratory . They learned about the Altitude Room and the Bod Pod. The children had and inspirational day and the feedback from the university staff was that all the children were enthusiastic and were a credit to the school. Well done to everyone.